If you belong to the Clan Davidson then this clan tea towel is ideal for you, being made in Scotland brings that extra special touch and means they would also make great gift ideas. 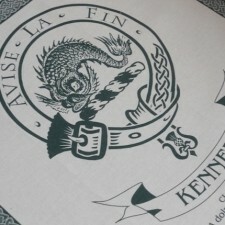 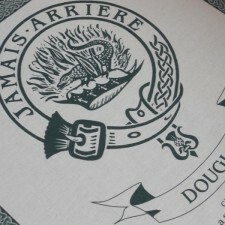 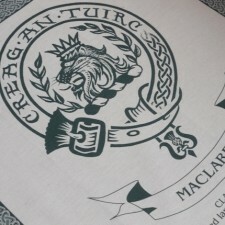 Each tea towel shows the Clan Crest, Motto and origins of the name along with location of the Clan Seat. 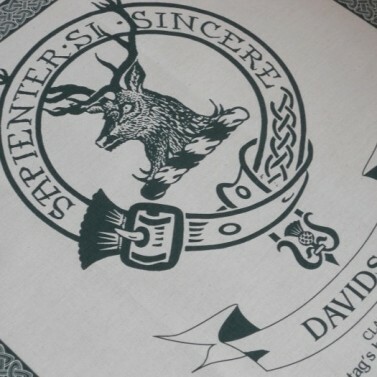 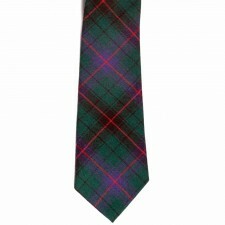 A piece of Scottish art and history on a tea towel that makes a perfect gift or indeed decoration if hung on the wall!